Raging Dead is a Horror Punk Metal band born at the beginning of 2014 from an idea of Cloud Shade (Vocals/Guitar) along with Matt Void (Lead Guitar); the line-up finds its stability with Tracii Decadence (Drums) and Riley Greed (Bass) joining the band. The style is characterized by a fast and rampant sound and takes inspiration from Murderdolls, Wednesday 13, Misfits, Marylin Manson, Rob Zombie, Skid Row and also some famous underground bands. Raging Dead has an intense first year of activity, in which it gains recognition playing with the best-established Italian Horror bands Superhorrorfuck and Scream Baby Scream and several well known glam/sleaze bands. The quartet has also the chance to share the stage with many foreign bands and is chosen as the Italian official opening act for Sister (SWE), pretty famous in Europe. 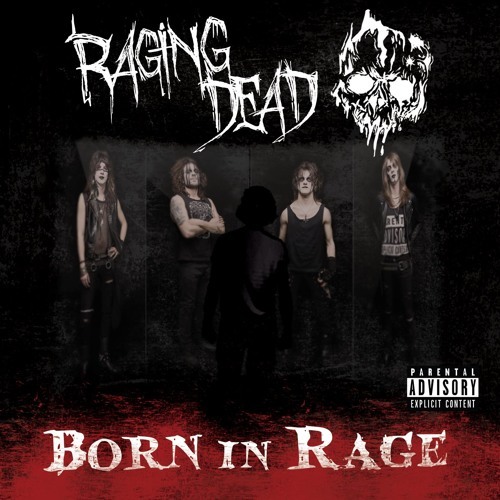 In February 2015 the line-up changes when Simon Nightmare joins Raging Dead as new bass player; the band enters the Atomic Stuff Recording Studio to record the debut EP "Born In Rage". This work will be available from April 24th, 2015 at the release party at Midian Pub in Cremona, Italy.